Exide Technologies has launched a new range of monobloc batteries featuring spiral wound AGM technologies. 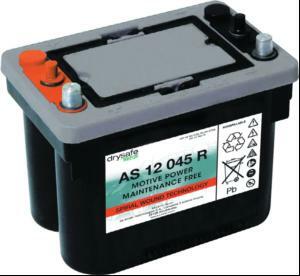 The drysafe RECUP (short for recuperation) batteries require no maintenance (including topping up) as the electrolyte is suspended in an Absorbed Glass Mat. The main benefit is said to be that they offer superior high power performance (such as large power draws over short durations) and are well suited for fast and/or opportunity charging as Sophisticated charging and allocation procedures as well as remote diagnostic facilities ensure optimum performance over an extensive projected working life for the batteries and warehouse trucks. "This new installation continues the policy employed at our other sites and provides a good benchmark for the group," says Chas Shepperson, national MHE fleet manager at Co-operative Food Retail Logistics. "We have a strong relationship with EnerSys and they went out of their way to listen and devise what we wanted." they can accept a high charge. They are designed for use in electric pallet truck and automated guided vehicles among other machines. The spiral-wound design gives a greater surface area of positive and negative plate within the cell and is the most efficient way of liberating the stored energy from a lead acid battery.